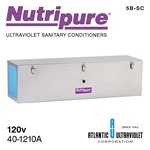 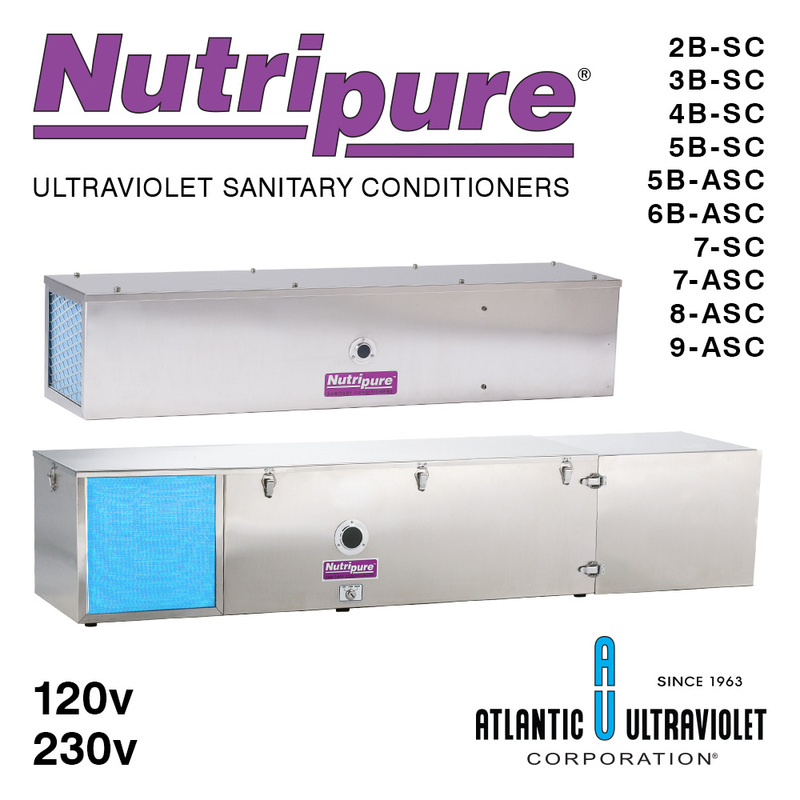 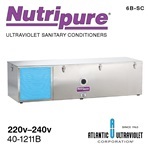 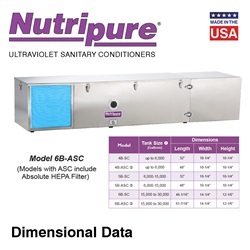 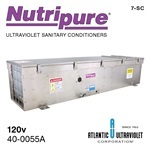 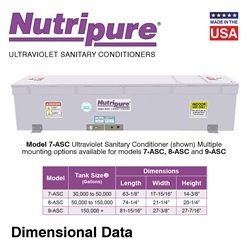 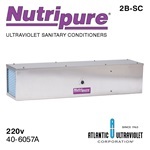 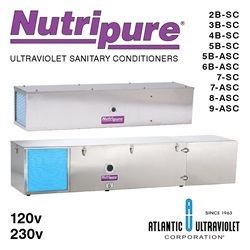 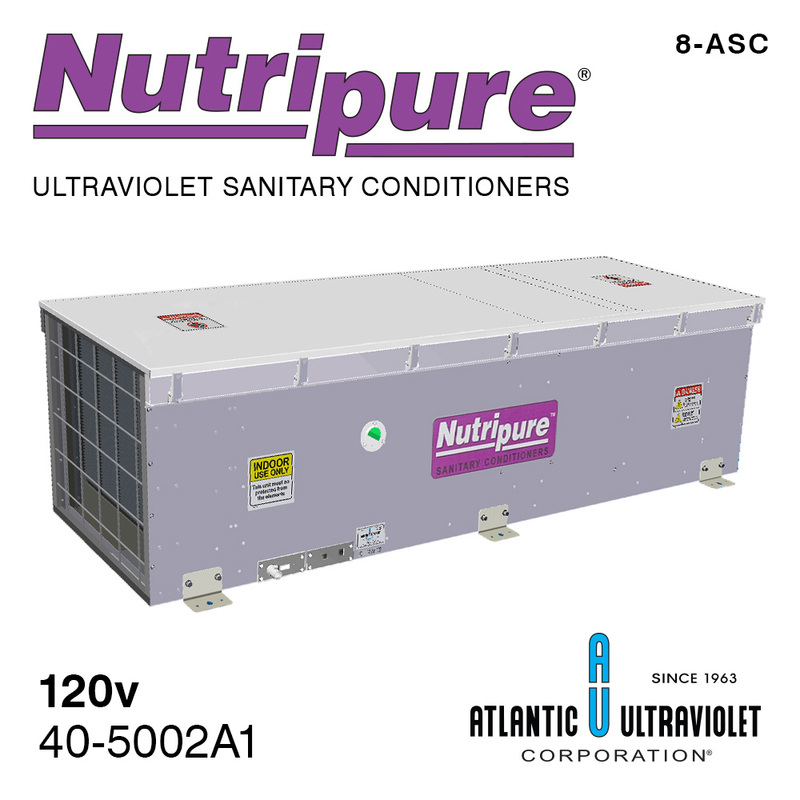 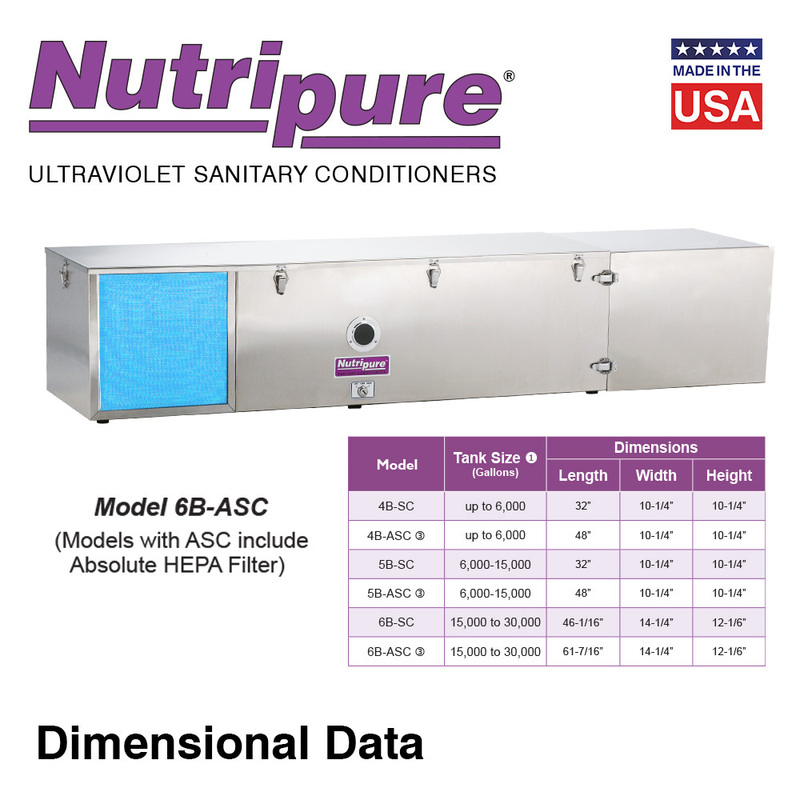 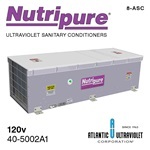 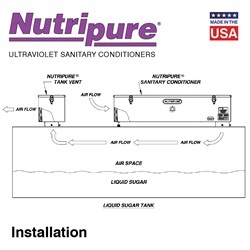 Nutripure® Sanitary Conditioners are used commercially to ventilate the air space in Liquid Storage Tanks utilizing germicidal ultraviolet lamps. The purpose of this equipment is to prevent condensation that has a tendency to dilute the liquid. 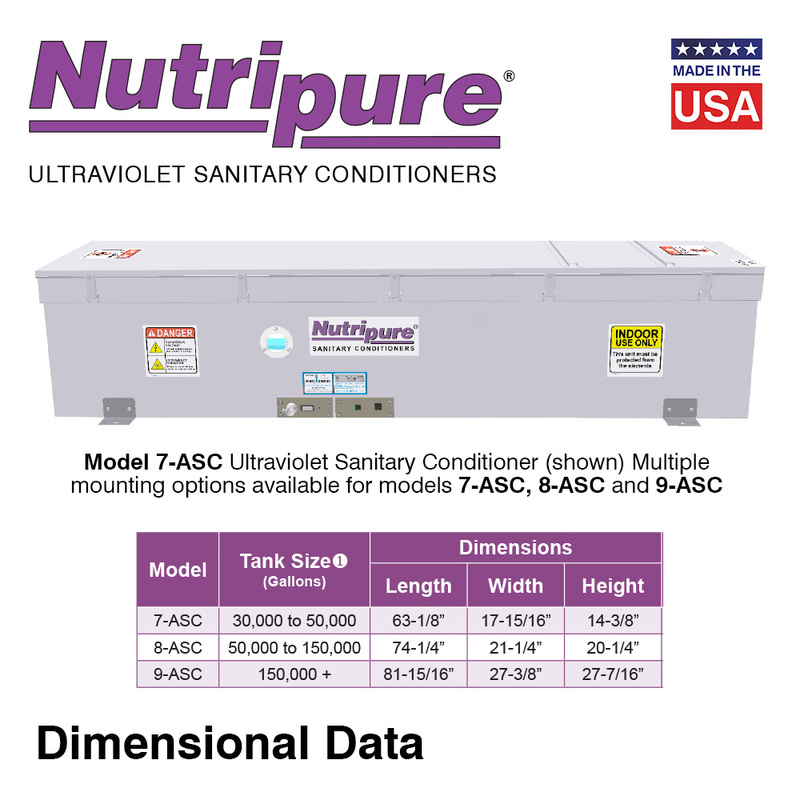 When diluted, the liquid can promote the growth of bacteria and mold on the liquid surface. Nutripure® Sanitary Conditioners provide forced, bacteria-free, air to the air space above the liquid. 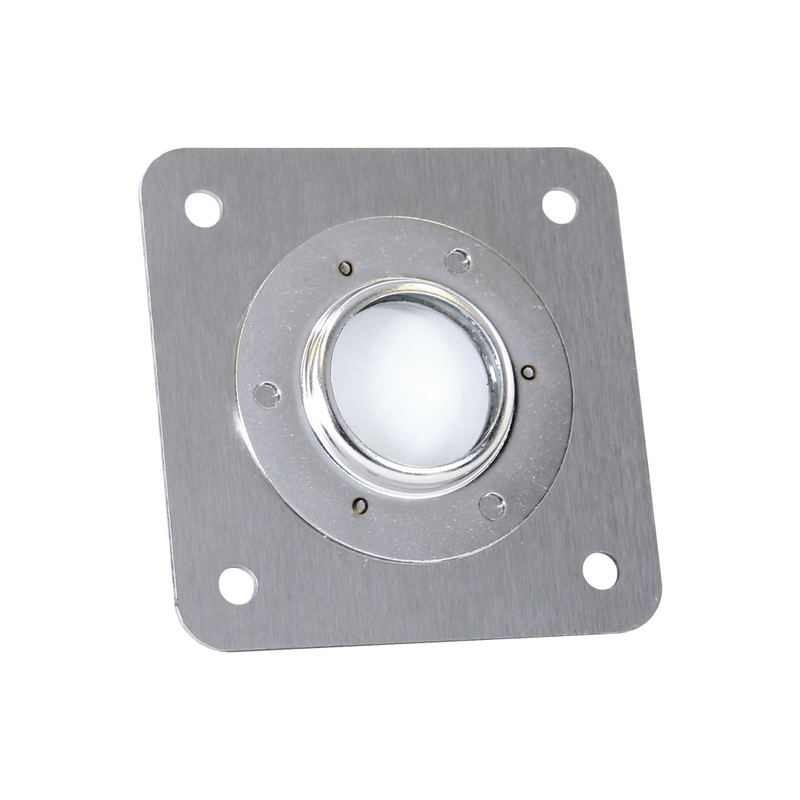 A tank vent is necessary to provide an outlet for this air and to prevent contaminants or debris from entering the storage tank. 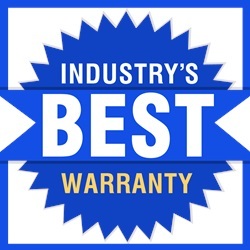 STER-L-RAY® Germicidal Lamps provide the utmost in quality, sustained output and longevity. 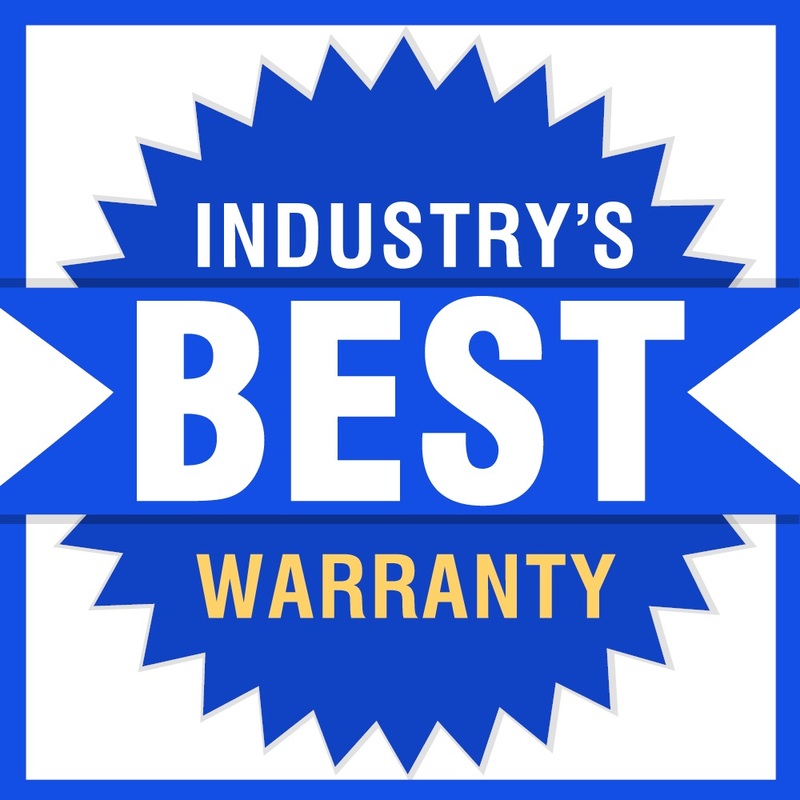 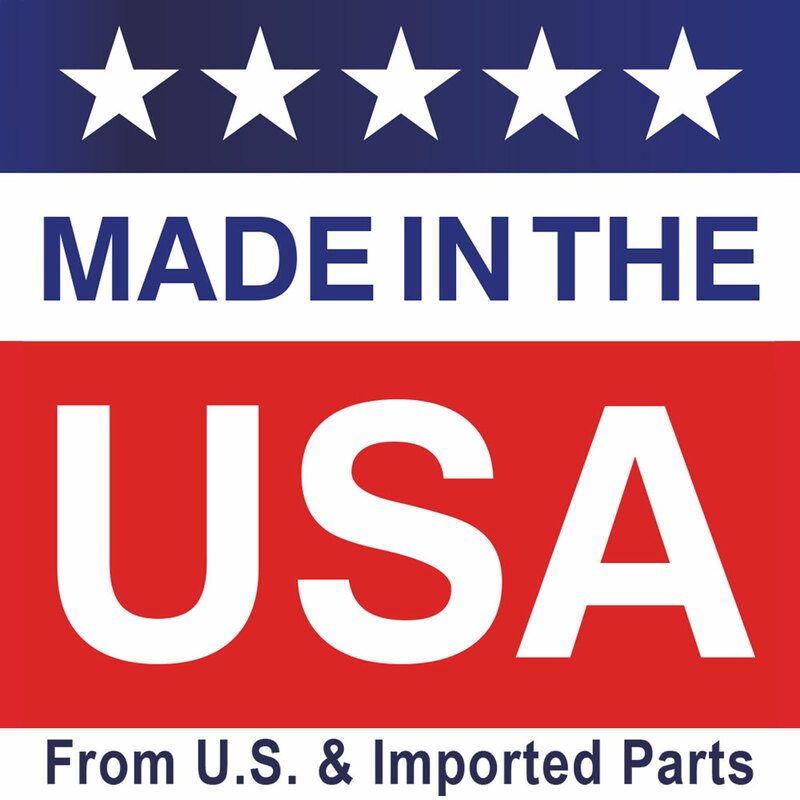 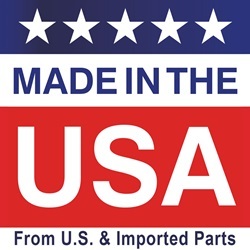 ArmorLite™ Safety Shield protective coating ensure protection for employees, products and work environment. 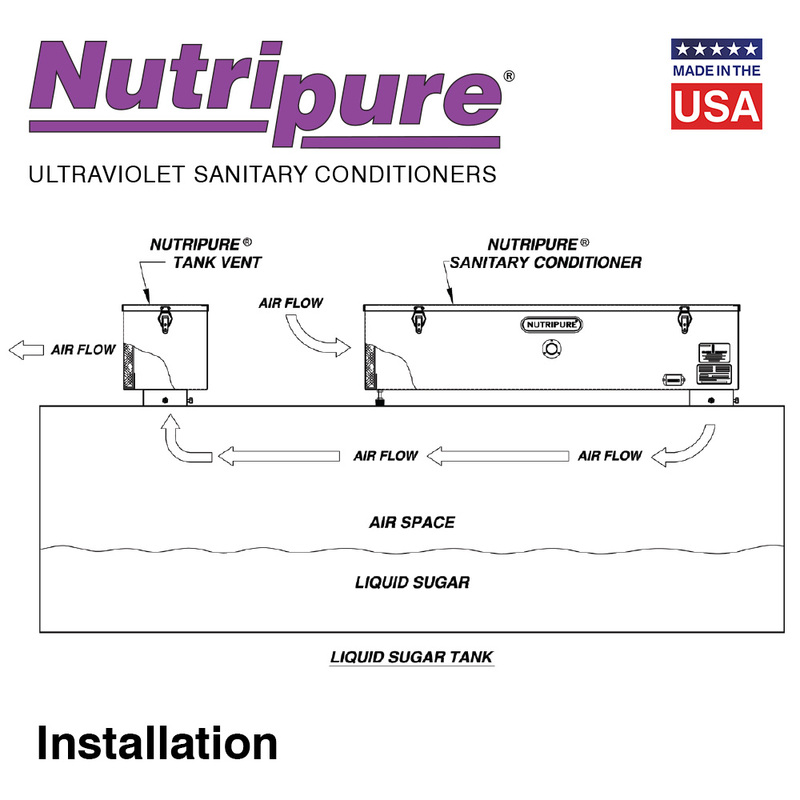 Typical applications include use in tanks containing edible oils, sucrose, fructose, and other liquid sugars. 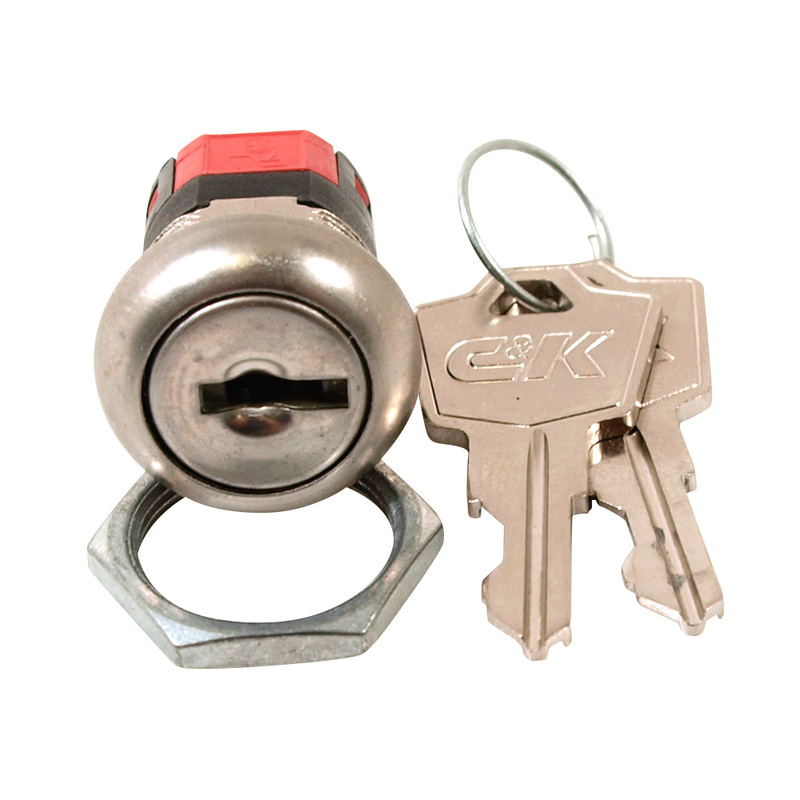 120 72 Up to 6,000 7.75" 34.5" 7.75"
220 72 Up to 6,000 7.75" 34.5" 7.75"
120 140 7,000-18,000 7.75" 34.5" 7.75"
220 140 7,000-18,000 7.75" 34.5" 7.75"
120 72 Up to 6,000 10.25" 32" 10.25"
120 72 Up to 6,000 10.25" 48" 10.25"
230 72 Up to 6,000 10.25" 48" 10.25"
120 140 6,000-15,000 10.25" 32" 10.25"
120 140 6,000-15,000 10.25" 48" 10.25"
230 140 6,000-15,000 10.25" 48" 10.25"
120 295/435 15,000-30,000 12.167" 46.0625" 14.25"
230 295/435 15,000-30,000 12.167" 46.0625" 14.25"
120 545/760 15,000-30,000 12.167" 61.4375" 14.25"
120 1057 50,000-150,000 20.25" 74.25" 21.25"
230 1828 150,000 27.4375" 81.9375" 27.375"